An Uncomplicated Life gets 5 stars! 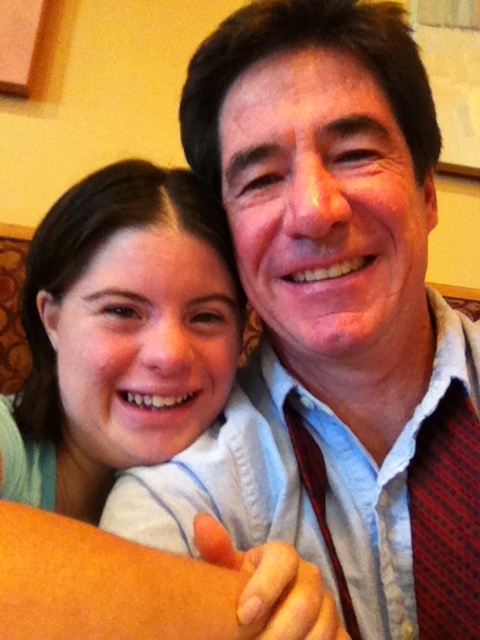 The memoir about my special needs daughter Jillian has appealed to just about everyone who has read it. We have 77 reviews on Amazon.com. . . 91 percent of them are 5 stars; 97 percent are 4 or 5 stars. We have two 1-star reviews: One from a customer who ordered the book and didn’t receive it, another who praised it and mistakenly believed 1 star was a high rating. as well, because the lessons Jillian provides in An Uncomplicated Life are timeless: Living and loving without agendas or guile, jealousy or anger. Passing no judgment. Loyalty, empathy, passion. See People, Don’t Look at Them. We’re Only as Good as The Way We Treat Each Other. Life Is a Communal Joining of Hands. Readers have responded to the message, and we are grateful. Read An Uncomplicated Life. See what they’re talking about. These reviews came in, in just the past few days. An amazing story – beautifully and sensitively written. An absolute read for any family who have a Down syndrome relative, and definitely for anyone who doesn’t have one – A can’t-put-down-book. I could not put this book down! the sweetness, love and help this father gives his daughter is priceless! His writing style is so much fun and informative-I understand a lot more about this handicap. You’ll love his daughter! Wonderful book written about a beautiful daughter by a loving father. If there was one book I would recommend everyone read this year it would be “An Uncomplicated Life!” When telling a friend I was reading this book she said “oh it must be so sad.” It is anything but “sad,” it is full of joy, laughter, struggles, hope and inspiration. Loved every single page – thank you Paul for sharing Jillian’s amazing story! This book should be required reading for persons in the field of education, psychology, or anyone who has (or loves) children. Paul Daugherty explains how society needs to see, not look, and expect, not accept each individual. An amazing read that sends the reader through all emotions. One of the biggest and best moments of my life with Jillian — up to and including her wedding in June — was her first Homecoming dance. As Jillian got older, her friendships with “typical” kids dwindled. By the time she reached middle school, they’d vanished entirely. No one was ever cruel to our daughter. They just moved on. It was heartbreaking. Kerry and I could do everything the law allowed to get Jillian educated. What we couldn’t do, no matter how hard we worked, was to get people to be her friend. From the day Jillian was born, I didn’t dread getting her the schooling to which she was legally entitled or the challenges we’d face in raising a daughter with Down syndrome. I dreaded the day Jillian would realize she was different, and wondered why. All the stuff that makes being a girl worthwhile — the sleepovers, the boy talk, the birthday parties — would they happen for my daughter? Or would high school weekends be an ongoing exercise in loneliness? Pondering it made my heart ache. Once, when she was in about 6th grade, Jillian did come down from her room on a Friday night to announce weepily, “I don’t have any friends.” That was the extent of it. Actually, Jillian had one very good friend, Katie Daly, with whom she shared all the good girl stuff. But boys? Which brings me to that first Homecoming. Jillian played soccer in a league of kids with special needs. One of the kids on her team was Ryan Mavriplis. Moms attending practices noticed the two flirting on occasion. One day, right after practice, Ryan summoned Jillian to come with him to the other side of the field, away from the parents. “Do you know what Homecoming is?” he asked Jillian. She had just turned 15, a high school freshman. Ryan was 16, a sophomore. Ryan informed her it was a dance. “Would you like to go with me to Homecoming?” he asked. The next week would be consumed with what Jillian called “mother-daughter time” — finding a dress and shoes, hair, nails, makeup. The whole nine. I spent the week offering silent thanks. My daughter was going to Homecoming. I’ll never forget one instant. Ryan had arrived — “I’m here to take your lovely daughter to the Homecoming, sir,” he announced at my door, flowers in hand — and settled into the kitchen. I was at the bottom of the stairs. Jillian appeared at the top of the stairs. “I a little bit nervous, a little bit,” she said. Can I tell you what she looked like, at that moment? Like she’d been kissed by the sun and moon. Like an angel, on assignment to Ohio for one night. Like everything I’d ever hoped for. She and Ryan went to that Homecoming, and to several others, at his high school and hers. Proms, too, then weddings of friends. And finally, more than 10 years into it, their own wedding. Kerry was right. Jillian would have a social life. Her closet remains full of those dresses, testaments to a life fully lived. My daughter went to Homecoming. Cymbidium orchids, under a porch light. I first saw the author’s letter to his daughter on her wedding day on social media and thought, “wow what a wonderful father!” I then saw that he wrote a book about his exceptional daughter and I thought, “if this is anything like his letter I’m sure I will love it.” Paul did not disappoint! You go through this family’s journey and struggle for the rights that every child has but for some reason was a fight for their dear Jillian. I feel as though I know them all so well since reading this book. I laughed, cried, love and hated through this whole story! It was the greatest journey I have ever been on and I will be reading it again! My only negative thing about the book was it ended:-( I would so love to read more of this amazing family and my new favorite young woman, Jillian! Since reading this book I have posted about it on social media and I even accosted people in Barnes and Noble telling them all about this amazing book and that their life is not complete until they read it! To say I am a big fan is an understatement. I would easily give it 100 stars if I could. Thank you for sharing your story. October is Down syndrome Awareness Month. What does “awareness” mean to you? A vast majority of folks are “aware” that there are people with Down syndrome in this country. How many actually are empathetic? How many would have an individual with Down syndrome as a friend? 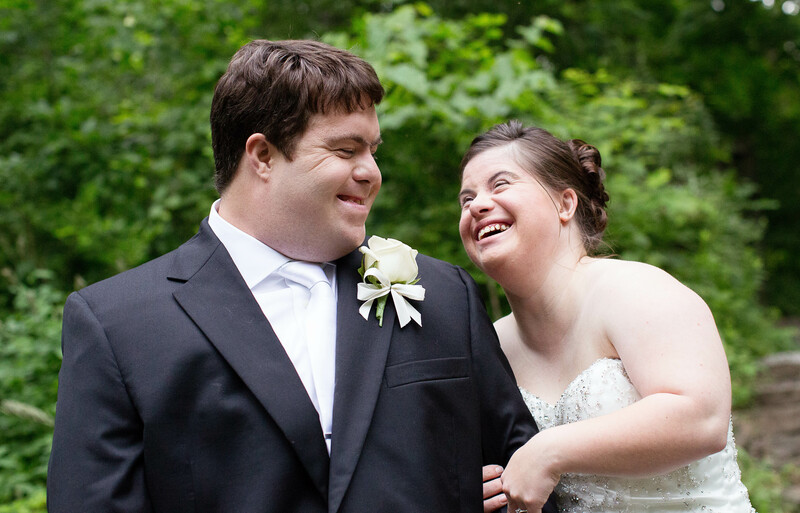 As an employer, would you hire someone with Down syndrome? That’s awareness, to me. It implies so much more than simply identifying physical characteristics or intellectual abilities. In my memoir of Jillian, An Uncomplicated Life, I emphasize the need for us to “see” our fellow human beings, rather than “look’ at them. Seeing demands engagement and empathy. It is active. Looking involves judgment. It is passive. We look at TV. Seeing isn’t just needed for awareness of people with Down syndrome, or with any intellectual or physical disability. It’s a basic civil right. Think of the potential we’ve wasted in this country over the centuries, because we looked at people and didn’t see them. Our whole effort in raising Jillian was in having her seen. It’s why we held her to the same standards and gave her the same responsibilities as we did her older, typical brother. It’s why we demanded she attend regular-ed classes in secondary school, and why we encouraged her to pursue extracurriculars, such as dancing on the high school JV dance team. Don’t judge our daughter on what she looks like. See her for who she is. Those who have taken the time to see Jillian have been rewarded with the most loyal and least judgmental of friends. Employers who have hired her have added a dependable and enthusiastic employee. 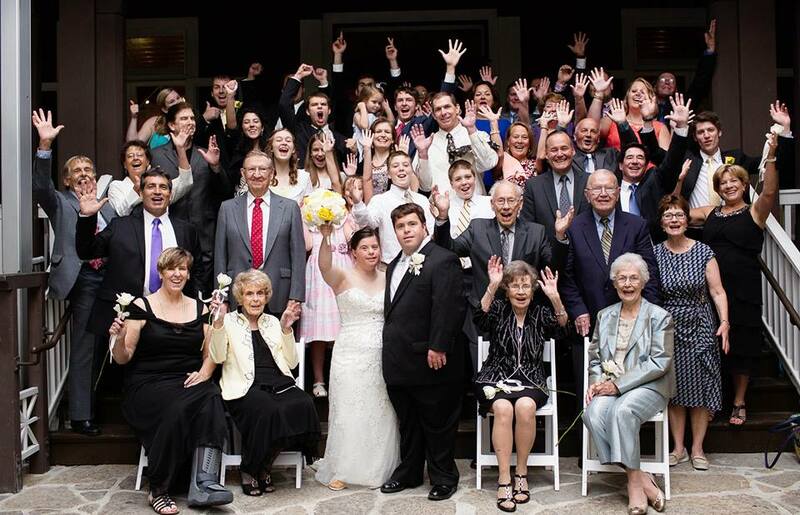 As evidence, I offer Jillian’s wedding. Of the 120 people in attendance, at least half were simply friends. In my toast to Jillian and Ryan, I thanked everyone for coming. I said that in ways great and small, every one who was at the ceremony had something to do with Jillian getting there. It truly takes a village with our special needs kids. To all those folks — who love Jillian, have befriended Jillian and taken the time to See Jillian — happy Down Syndrome Awareness Month. You are truly aware. I’m confident your awareness has been rewarded by the friendship of the nicest person I know.